Nicole Maher, longtime resident of Wonalancet is our Artist of the Month for February and March. 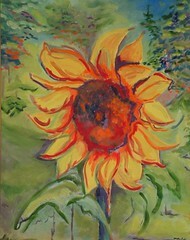 Nicole is exhibiting colorful oils of local landscapes, flowers and still lifes. ← Why are Birds in North America Disappearing?